← Dinky 699, Leopard Recovery Tank. 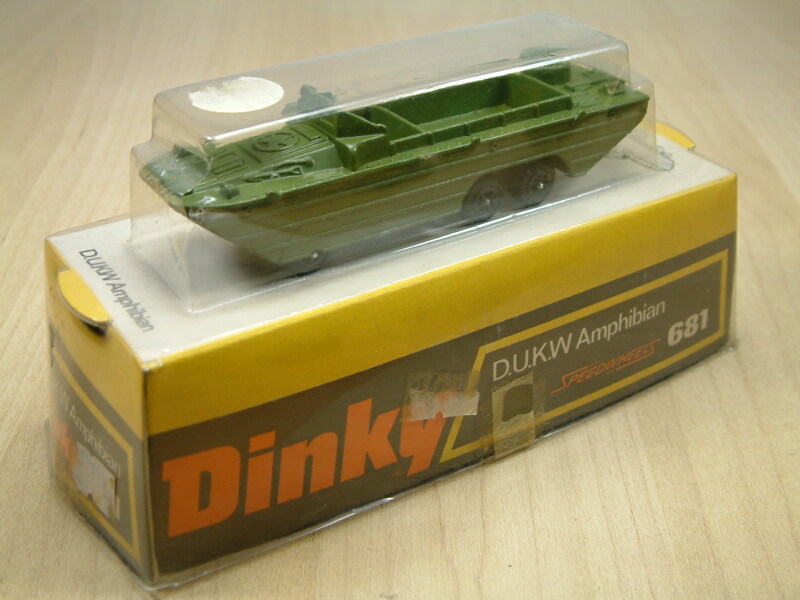 This is a Dinky 681 D.U.K.W. Amphibian Landing Craft. This was a World War II landing craft in the American Army. 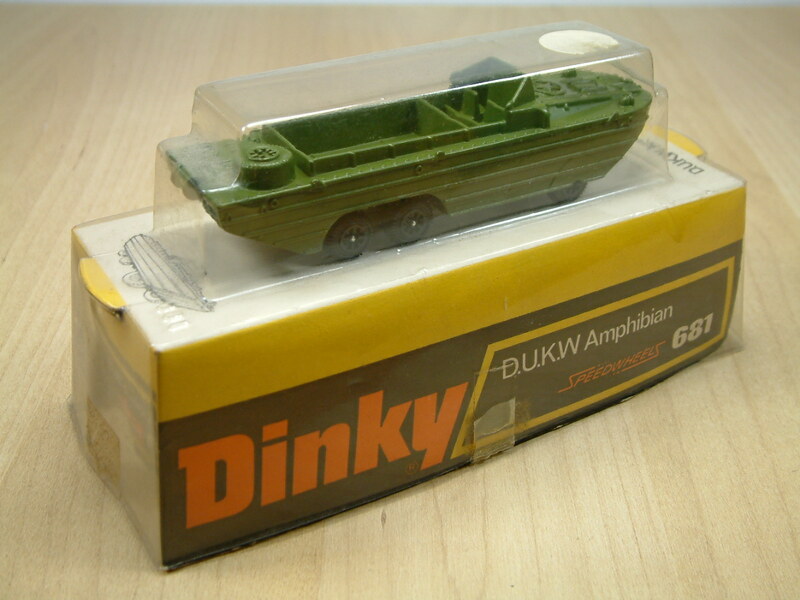 Dinky also produced it as part of a Task Force set, and it is seen here in it’s single blister packaging. This model was produced from 1972 to 1977. This entry was posted in Military and tagged American., Amphibian, Amphibious, Dinky, DUKW, Landing Craft, Military, World War Two. Bookmark the permalink.